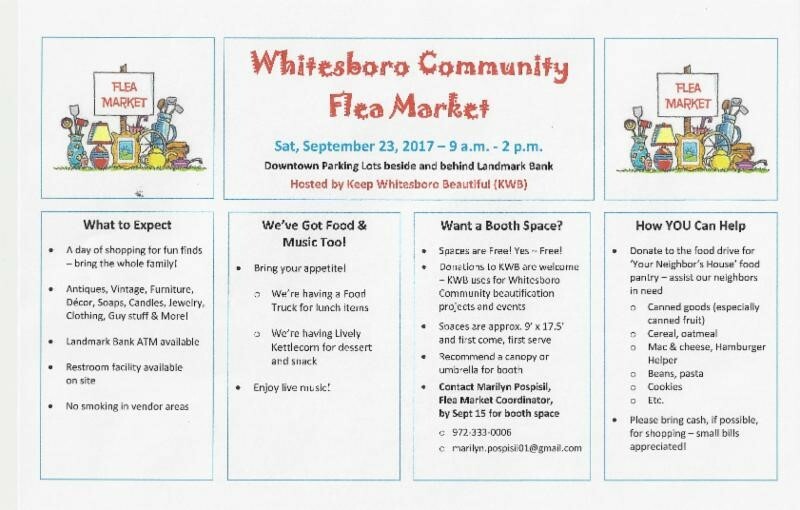 Whitesboro Community Flea Market downtown Whitesboro ... location parking lots east of main street . 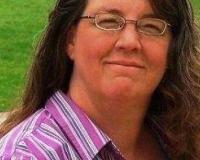 Hosted by Keep Whitesboro Beautiful. What to expect FUN FUN FUN for sure. Shop and find all kinds of cool stuff, visit the Antique shops on Main street, see the new shop Wandering Peacock company, and so much more. Bring an appetite for some great food you are sure to enjoy, vendors will be there or stop by Lovejoy's on main, how about the Meat market west on Main street. Give us a shout as well we are here to help you find the perfect house to call home here in Whitesboro or any of the surrounding communities. See you on September 23 2017 downtown Whitesboro Texas.